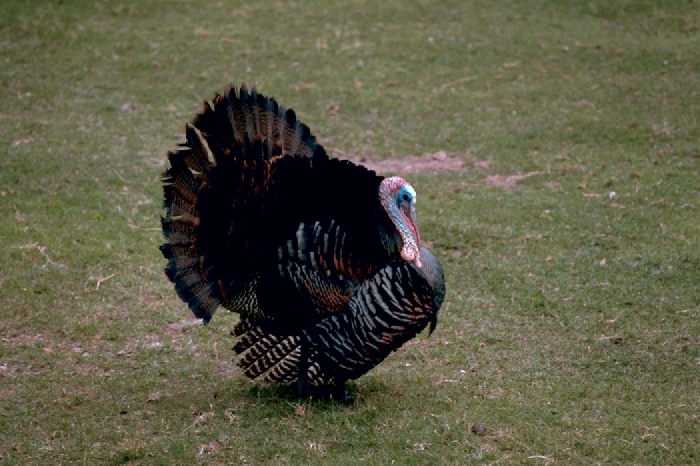 "Wild" Turkeys are frequently introduced in Minnesota, and apparently some of these introduced birds have found their way to Cedar Creek. There are several records of adult birds, all from the 1980's and 1990's. A brood was seen in 1984 along 56, one in 1985, two in 1994, and one in 1995, and so the birds seem to have at least a chance of surviving in the area.